I stumbled upon this beauty one fine evening after long periods of staring at the screen for a maxi skirt that I’d be tempted to wear. Let me confess that I’m personally averse to long skirts as I love a midi length even though it means I have to shave my legs diligently every now and then. There’s a time for gowns I admit but for the everyday wardrobe set in a tropical climate, I feel kinf of stifled in long skirts. 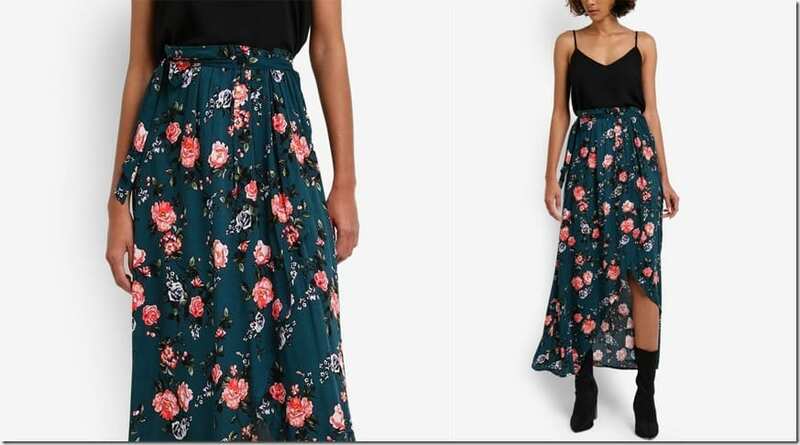 A long skirt with a wrap front to show a peek of leg? Now that is a skirt style I could slip into. The floral patterns on these skirts have that boho appeal. Stamped on a canvas of black and teal, the floral print design is appealing in a way that is far from visually-assaulting. 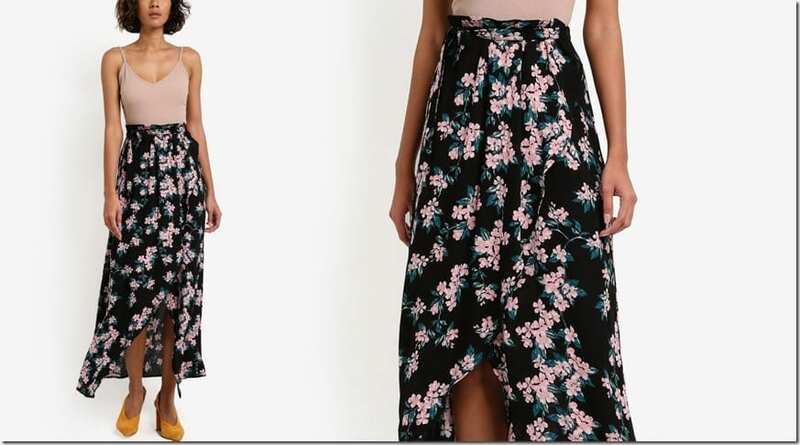 If you would like to wear a maxi skirt that has a bit of an oomph, then I highly recommend this style as the wrap front makes for quite an asymmetrical hem interest. The waistband is partially elasticized and the relaxed shape ensures that it will go with all figure types. Love this skirt style already? Well, quickly grab it! 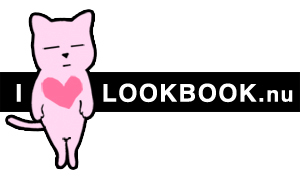 Be sure to use our code ZBAPEDJ to get your 15% OFF for your first-time shopping on ZALORA Malaysia.